– Hey, Unknown, the book is sold out in the US. (Interested? Free bicycle delivery in the greater Brooklyn area). – So, what is August Editions going to do? How about selling my old collected poems instead? – The poems are interesting, but… uh, maybe another time. Actually, a new edition of a 1000 copies of The Unknown Hipster Diaries is already in the works, it will be available around March next year. And it will have a new picture of you on the cover. – What about an abstract image? Or a photo of some weed growing freely out of a Bushwick sidewalk? 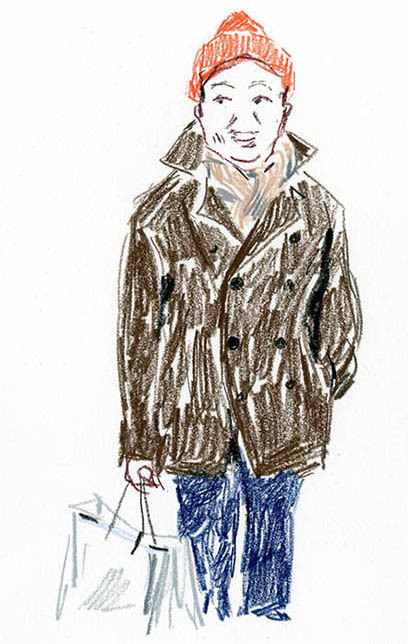 – Uh… How was the exhibition opening of your illustrations at Colette? – It was cool, and…yes, Balthus, was there. – Yes, he is very cute. – Balthus, like the painter? – Balthus Billy Zahm, Olivier and Natacha’s baby, don’t you check the Purple Diary everyday? I think it was Balthus first opening, Natacha said so. – You must be very honored! – Woody came early, though, needed some sleep. – Yes, Sarah and Philippe’s baby. He is very cute too. And very well-dressed. Cool socks. What is that loud music behind you? Are you at a party? – I’m in Kanye West’s car. Baldessari’s driving. In fact, we are going to André’s pop-up Le Baron for Larry Gagosian, Glenn’s D.J.ing, he says hi. – Could I request a tune? 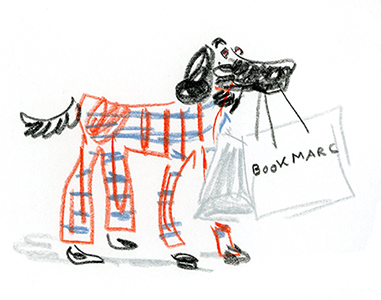 – What about your book signing at Colette, on Saturday? – I just bought a stock of blue spray cans. – You mean, you’re going to graffiti the books? – Why not? …Well, right, with all the babies, maybe I will borrow their color pencils. 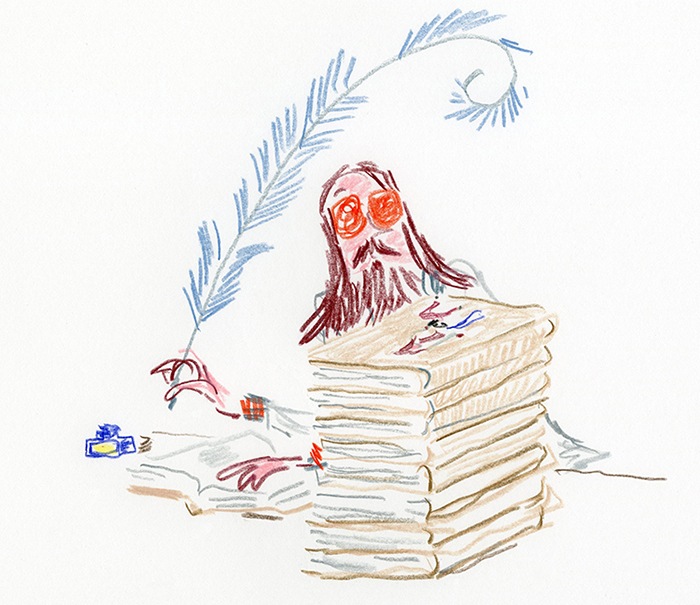 The Unknown Hipster Diaries booksigning at Colette, Saturday 15th December, from 4pm to 6pm. The Unknown Hipster Diaries, 2nd Edition, will be available March 1st, 2013, from Amazon and selected bookstores in the U.S.
Dung called me the other day, as they had just received a large crate at August Editions. Its beige cloth cover works well with every kind of upholstered interior, and would bring a touch of warmth to any spare, minimalist pad. The pages’ irregular edges seem to have been cut with a guitar pick, but I know Dung is way too busy to do this himself. In fact, don’t know how this was done. And the design, done by Martine – a yoga expert – is very cool. It makes for a relaxing read without having to be in a precarious headstand. And if you’re a yoga-obsessed and feel the urge to practice without having your mat at hand, the book can be used as extra padding for your headstand. 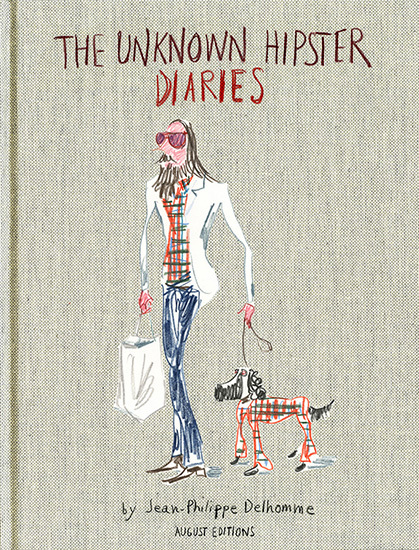 – Do you have to be a snob to enjoy The Unknown Hipster Diaries? – I don’t have a long beard and a long hair, do you think I’ll be interested by this book? In fact, we don’t know. Are you a woman ? * The book is multi-gender friendly. – I’m a hispter with a roof-top pig farm and organic greeneries, can I trade my products for a copy ? I was eating a burger and writing poetry at the Old Town Bar when my friend Dung, who works nearby in publishing came in, returning as always from his travels to Europe, where he hops from Biennales to design fairs, meeting famous designers and fashion celebrities, and private visits to architecture gems such Oscar Niemeyer’s French Communist Party Headquarters in Paris. – Hey Unknown, I think the time has come for you to do a book. – Really? I’d rather do a record. My Unknown Suite for voice and electrified tambourine is almost ready. Do you want to listen to the demo tape? It’s only 120 minutes long. – Hmm, I’m sure the music is great, but right now I think a book is more appropriate. And a new publishing house, August Editions, wants to publish it. – Well… You see, I don’t want my stuff to become too commercial. – We’re would do a limited edition of only 1,000 numbered copies. – What would be the title? – How about The Unknown Hipster Diaries? – Shouldn’t it just be called The Unknown Diaries? People hate hipsters, especially other hipsters. At my Bushwick subway station somebody wrote over a Planned Change Service Notice at the end of the platform: “F*** the hipsters, they ruined Brooklyn,” and it’s illustrated with a crude drawing of a dude with beard and frames. – No, in fact, I never was. – Of course. Still, I think we should keep the title The Unknown Hipster Diaries. – It’s not a bad title. But… what about the record?